This is the first major monograph on one of Britain's most dynamic artists, Wolfe von Lenkiewicz. With an introduction by art critic Edward Lucie-Smith and an essay by writer and editor Richard Dyer, this beautifully designed hardback book presents an impressive selection of works by the artist between 2009 and 2015. 150 colour and b/w illus. 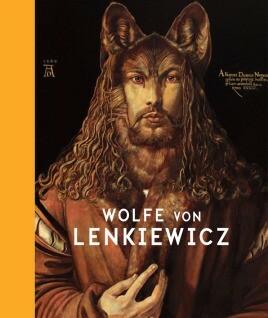 This is the first major monograph on the work of one of Britain's most dynamic artists, Wolfe von Lenkiewicz. His striking paintings and drawings mine the hallowed halls of art history and popular culture in search of visual languages, imagery, themes and motifs that he can appropriate, adapt, use and abuse, bringing together different movements, genres, periods and styles in dialogues that are surprising, innovative and sometimes provocative. Lenkiewicz's imagination and energy seem to be inexhaustible, concocting endless amazing hybrids such as iconic Renaissance paintings invaded by characters from nineteenth-century Japanese woodblocks, French Revolutionary masterpieces spliced with German Romanticism, or Cubism infiltrated by Victorian children's illustration. The result is a peculiar and fantastical cast of characters and scenarios, whether Nazi soldiers trampling through the snow towards a crashed UFO in the middle of a village scene by Pieter Bruegel the Elder, Snow White making an uncomfortable guest appearance in an already troubling Balthus interior, or a guillotined head assuming a cameo role in an otherwise serene still life. These painterly chimera are cultural mash-ups. Sometimes irreverent, sometimes witty, other times simply beautiful, odd and arresting amalgams, they are always poignant, pertinent and decidedly thought-provoking, inviting the viewer to think across time, cultures, countries and ideologies about the many languages of art. In the process, Lenkiewicz has established his own distinctive oeuvre, one that perhaps perfectly illustrates the notion of post-modernity within painting - an oeuvre of juxtapositions and non-sequiturs, binary oppositions and the uncanny, ruptures and elisions, the real and the irrational. As well as often encouraging us to look at the history of art with fresh eyes, Lenkiewicz's practice asks about visual culture today, about how our understanding of the past rests on shifting sands. With an introduction by distinguished art critic Edward Lucie-Smith and a major new essay by writer and editor Richard Dyer, this beautifully designed and produced hardback book presents an impressive selection of works produced by the artist between 2009 and 2015. Born in 1966 and based in London, Lenkiewicz is of German and Polish descent; he studied philosophy at York University, graduating in 1990. He is the son of the late painter Robert Lenkiewicz and great grandson of Baron von Schlossberg, court painter to King Ludwig II of Bavaria, the Swan King.